With the high number of cars on the roadways today, there’s a good chance you’ve found yourself in need of a car accident attorney. 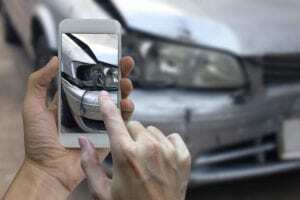 Whether the collision was completely the fault of the other driver, or you are equally at fault, having a car accident attorney is crucial if you wish to see compensation for your vehicle damages or reimbursement for your medical expenses. Here at Brain Injury Law Of Seattle, our car accident attorneys have won case after case for our clients, defending them from paying unjust damages and helping them get back on their feet after an accident. It is our goal to take as much of the legal stress off of our clients as possible so that they can focus on physical recovery. How Common Are Car Accidents In Lynnwood? Lynnwood is a busy suburb of Seattle, with many students and employees choosing to live in Lynnwood and commute to Seattle. As a result of this, weekday traffic throughout Lynnwood is heavy and many Lynnwood residents find themselves behind the wheel for multiple hours a day as they commute to and from work or school. An additional reason for the congestion is Lynnwood’s many shopping areas. This, combined with the commuters, means that car accidents are a frequent occurrence throughout the city. Even though you may be an experienced and cautious driver, that doesn’t guarantee you won’t be involved in a collision either as the victim or as the offending driver. Despite every caution taken on your part as a driver, there’s a high chance you may still find yourself in need of a car accident attorney. Given the risk of being a driver in the Lynnwood area, it’s a good idea to be familiar with the laws surrounding auto accidents. Auto accident cases can be complicated matters, especially considering the numerous agencies that tend to be involved in the process. There is usually more than one claim filed, mountains of paperwork, and lengthy phone calls with different insurance agencies. An auto accident case is not one you want to be fighting for on your own. It is far easier and much less stressful to have an expert legal team working with you through the paperwork and phone calls than having to do it yourself, while also recovering from the wreck. Furthermore, working with a car accident attorney gives you a higher chance of receiving compensation for the accident. Here at Brain Injury Law Of Seattle, we see it as our duty to assist our clients during traffic court, navigating the complex legal waters around our clients’ cases and maintaining communication and coordination with the numerous agencies involved. If you were the driver at fault, we will come alongside you and build your defense, or if you were the victim, we will assemble evidence in order to sue for damages. In all areas, it is our responsibility to ensure that your claim is processed promptly and accurately. If you have been involved in an auto accident or if driving is part of your everyday life and you like being prepared, contact Brain Injury Law Of Seattle today to talk with a member of our legal team. Brain Injury Law Of Seattle has been working tirelessly at defending clients for the past 25 years, and we would be more than happy to work for you on your journey to recovery. To get an honest and professional opinion, or receive some advice concerning what legal route you should pursue, don’t hesitate to send us an email or give us a call; we’d be more than happy to have a free consultation with you to discuss your auto accident case. We are here to help, answer questions, and educate you about what the legal process ahead looks like. We’ll share with you the medical and legal knowledge we have related to what you are facing and how you can be helped.